However, let me say right up front, for the most part, exchange traded funds are not as good for your portfolio as they are touted. Indeed, many of those who invest in these products are taking higher risks with their money than they realize. Let me explain. Since the Global Financial Crisis (GFC) investors have increasingly sought out ways to get better returns and greater diversification in their portfolio, and to achieve this with very little effort. Hence the stellar growth in exchange traded funds. But while exchange traded funds appear to be a good investment vehicle to make gains by doing almost nothing, they also have their downside risks, which many never even consider. The financial services industry has done an amazing job promoting ETFs, after all, the managed funds were decidedly on the nose after the GFC. In fact, the masses were voting with their feet by exiting managed funds as they wanted more control over their investments by investing directly through an exchange and, as a result, bypass the funds industry. But this is where human nature takes over, as most investors are passive, meaning they want good safe returns but in a lot of cases they want someone else to do all of the work for them. Human nature also demonstrates that the majority do not do enough research when it comes to reading prospectuses and offer documents or other important information prior to investing. Consequently, many investors do not realize that when they are investing in an exchange traded fund, they are actually investing in a managed fund that is managed by the same professionals who operated the managed funds they were exiting from 10 years ago. 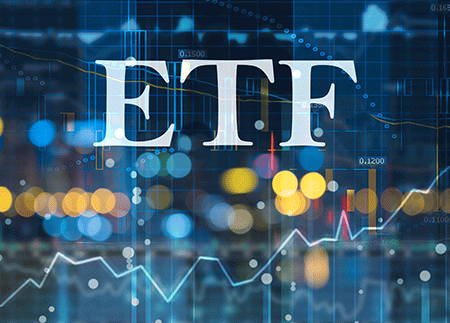 To stem the outflow of money from the managed funds, the industry has put a lot of effort into convincing investors that ETFs were the best way to go when it comes to investing in the market. Hence, the new-found popularity of ETFs because you can gain exposure to a market with one transaction and perceived control over your investments, as you can sell the ETF on an exchange at any time. And to the unsuspecting investor, this sounded way too good. But as history continually shows, investors buy at the wrong time and then either do not sell or hang on way too long before selling their investments. In the lead up to the market peaking in November 2007, which was just prior to the GFC, there were record investments being made into managed funds, meaning everyone was wanting to get on the band wagon at the last minute. The opposite occurred just prior to the GFC low in 2009, when the market had fallen around 50 per cent, as there were record levels of investors exiting managed funds, with investors repeating the old mantra that says amateurs buy at the top and sell at the bottom. So will the story be any different with exchanged traded funds when faced with another GFC? It is highly unlikely, because as history dictates on mass, we do not learn from the past when it comes to the markets and investing. Because ETFs have been marketed very well, they are considered low risk; after all, the professionals are managing the investment. The industry also promotes that exchange traded funds offer much broader diversification into stocks and other markets, and they can do so more efficiently than you could on your own. Sounds like a perfect world, doesn’t it? Well, let me say that it is not as rosy as they make it seem. That’s because a set and forget investment is never a good strategy, and investors will get burnt again sometime in the future when the market does fall, which we all know will happen eventually. An interesting statistic is that 53 per cent of advisers are currently recommending ETFs for their client’s. So, in reality, this is no different to what was occurring prior to the GFC, they have just switched from investing clients’ money into managed funds directly that are listed on a stock market. While this may give clients a perception of control over their money, this is really no different to what unfolded in the past. Don’t get me wrong, exchange traded funds can be a good investment vehicle, especially when investing in highly technical and hard to understand areas, such as cyber security. In fact, Betashares offers an ETF called Hack…yes you heard it right. 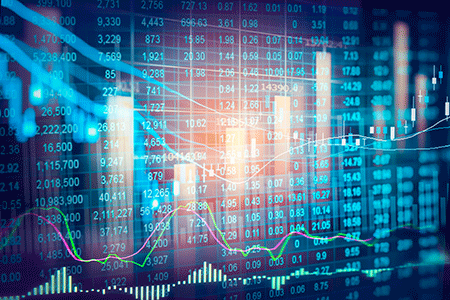 This ETF aims to track the performance of the NASDAQ Technology Association Cybersecurity Index before fees and charges. Now I am not recommending this is a good or bad investment, the point is, that if you want to have a small exposure to a growth industry that is hard for most to understand, then this is where ETFs can be great. But as I previously stated, a set and forget investment strategy is not the best way to invest. Just because you have some ETFs doesn’t mean you should sit on the beach drinking Pina Coladas dreaming of riches and doing very little. Even Warren Buffett has come out and said that he is not a fan of ETFs, and as you can guess neither am I. In fact, I will go as far as to say that if you are using ETFS for index investing, then you are not managing your portfolio as effectively as you could. I will also say that you really should read my latest award winning book Accelerate Your Wealth, as it will change your view about investing directly in stocks for the better, because it is not as complicated as many would have you believe. Indeed, I show you how by using some simple DIY investment strategies, you could have achieved an average annual return of 22.58 per cent over ten years from 2 January 2007 through to 31 December 2016 just trading the top 20 stocks on the ASX. This equates to a compounded return of 12.54 per cent, which is pretty impressive considering it takes into account the downturn in the market with the GFC. I also encourage you watch my market report on investing in ETFs vs individual stocks as it will shed light on the simplicity of investing in individual stocks. So now let’s consider what are the risks of investing in an exchange traded fund? 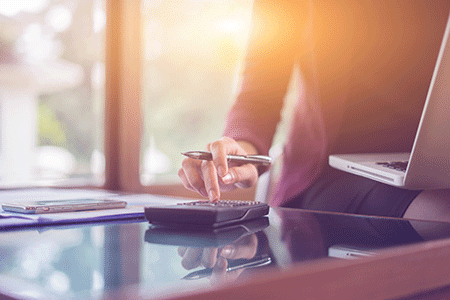 First and foremost, as with any investment, there are two elements of risk you need to consider to ensure you are investing in a well-diversified portfolio: systemic risk and specific risk. An investor who chooses to invest in a particular market is exposed to the risks inherent in that market, such as the economic influences of inflation and interest rates that affect the market as a whole. Therefore, the market risk remains regardless of the degree of diversification. Specific risk, on the other hand, is the risk of the investment itself. I outline both of these strategies in more detail in my latest book but I think you get what I am saying. So if we consider the Hack ETF mentioned previously, it invests in all of the stocks in the NASDAQ Technology Association Cybersecurity Index, which in this case is technology stocks. And as you know all stocks rise and fall, like the FAANG stocks did recently, with Apple and Amazon falling over 30 per cent last year. It is for this reason why your exposure to market risk can tank your portfolio and why I advocate that buy and hold should be avoided. Specific risk is the ETF itself, which is also referred to as counter-party risk, where you risk not just the investment but the party supplying or managing that investment. If they go broke or get into trouble, then your investment can be affected. Others risks include liquidity risk, which means you may or may not be able to buy or sell the investment or buy and sell at what you might deem a fair price. You also have hidden costs that might affect the performance of the investment, such as trading costs within the ETF, commissions, the bid/ask spreads and other charges that might not be fully evident to you. Another risk to consider is what the ETF is actually tracking and can it perform equal to or better than what it is tracking. There are also risks surrounding tax implications and dare I say the closure of the ETF. Therefore, depending on the fees and other variables you may not be getting what you think. That said, probably the biggest risk I see is investor behaviour, whereby individuals try to outperform the market and take higher risks by attempting to hit it big following the next perceived big thing, such as rare earths stocks like lithium, cybersecurity and artificial intelligence, all of which can be fraught with danger. In my book, the age old rule to investing still applies: If you don’t understand it, don’t invest in it. Just because somethings sounds great doesn’t mean you need to invest in it. We have seen investors portfolios decimated time and time again through market meltdowns but what’s even more concerning is to see investors cause their own demise through bad or poor investing decisions. above all protect your capital by having an exit strategy. So let’s get into this week’s stocks. Watch the video to find out more. What is a Stop Loss and Why Should You Use One?